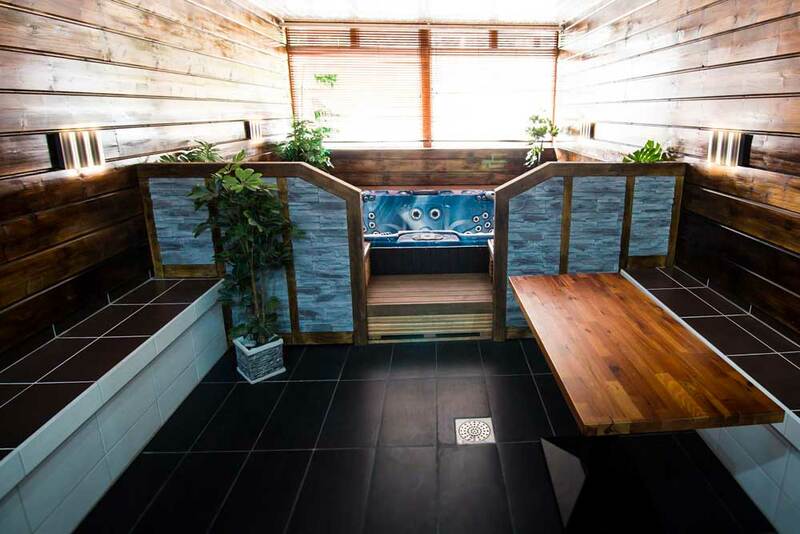 We offer a spacious sauna, which has a big sauna stove and soft heat. 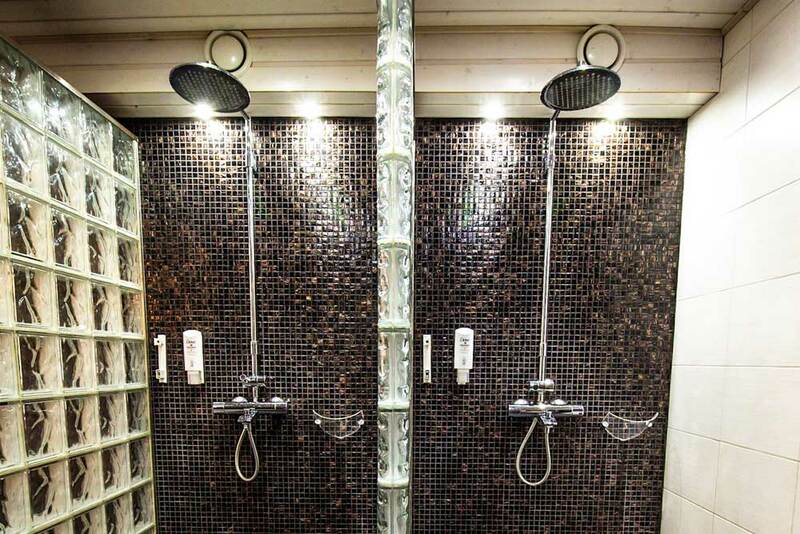 Our shower are has massaging showers. 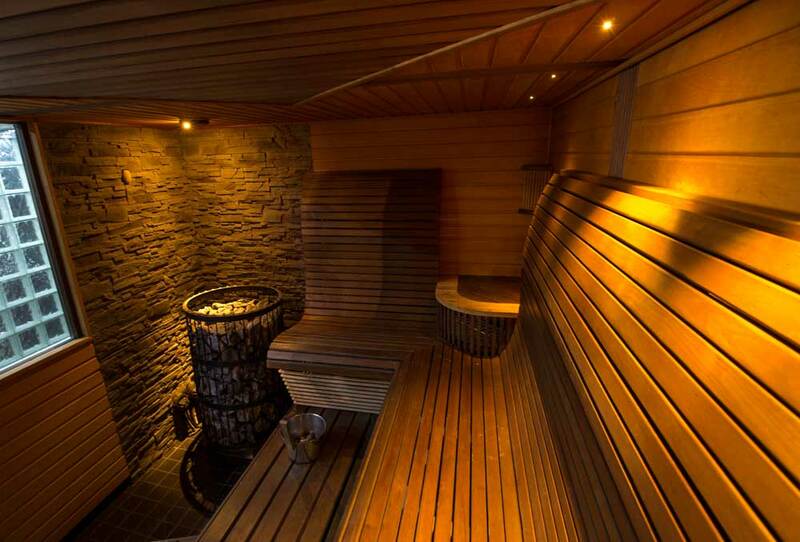 Our sauna department also includes a gorgeous jacuzzi for 8 people. You can also order lights and stereo for the jacuzzi. 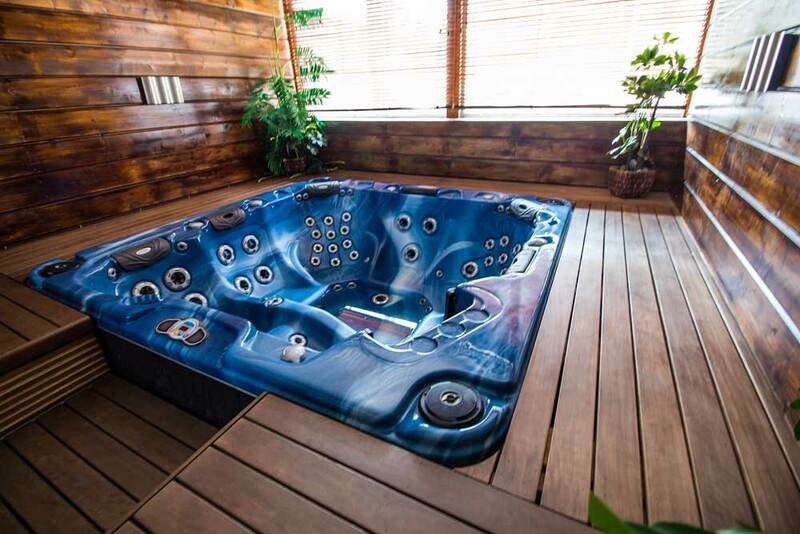 Sauna and jacuzzi can also be booked for bigger groups. In the same are we also have a “billiards cabinet” for 20 people where you can hold for example a meeting or serve food for people. 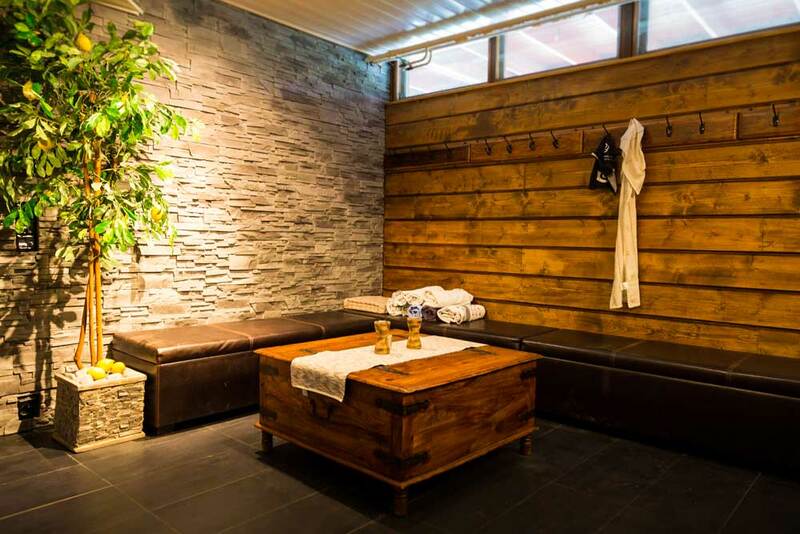 If you are interested in our sauna department, please contact our sales department!